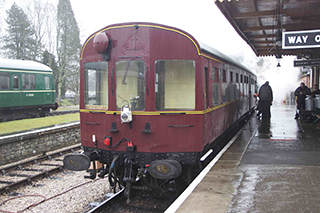 Saturday 14th February 2015 has been a momentous day – the SDR’s 2015 season has started with a flourish, there was a homage to the past and an introduction to the new electronic era. 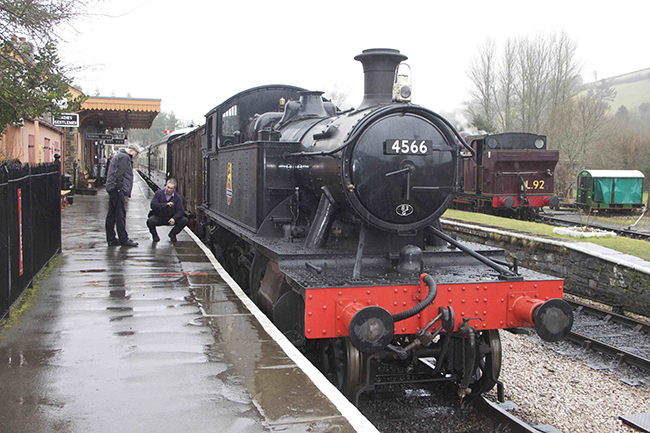 The Severn Valley Railway’s GWR “Prairie” 2-6-2T 4566 was renumbered for the day as 4555 – the original Dart Valley Railway engine. 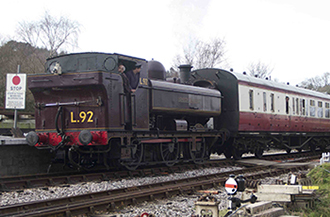 GWR 0-6-0PT 6412 made its début following an extensive six year heavy general overhaul. 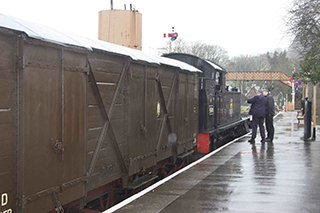 The 4555 cabside numberplates were kindly loaned by the Paignton and Dartmouth Steam Railway and the “BR” smokebox number was made in–house by Carriage and Wagon’s Mike Harris out of some plywood offcuts ! 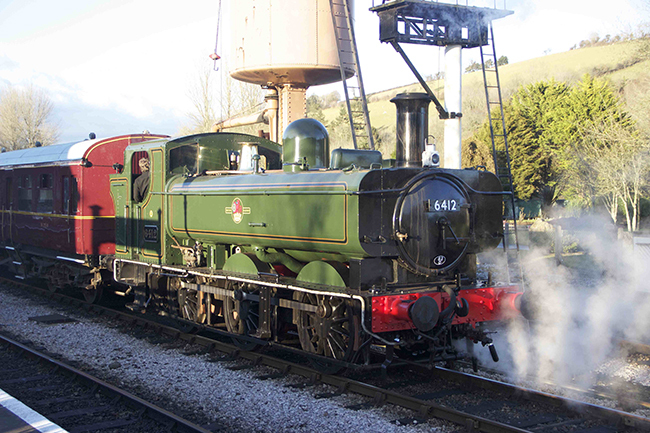 Given the “Just in Time” delivery of 6412 it was decided to steam GWR 0-6-0PT 1369 as a pilot for 6412’s first train up to Totnes just in case there were any unexpected gremlins. 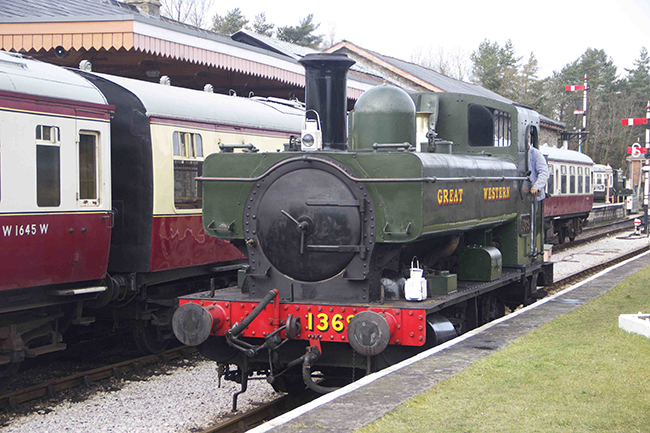 Since all went well 1369 worked its way back down to Buckfastleigh as a pilot on the next train, hauled by 3205. 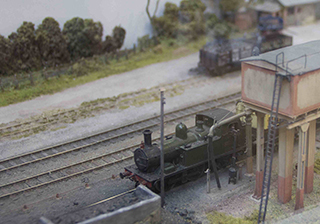 The railway also ran to Ashburton today – actually it was Chris Lamacraft’s layout in the museum showing what might be coming in the future. 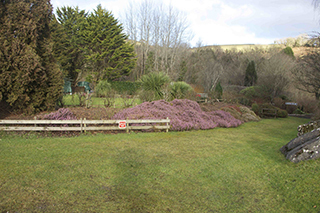 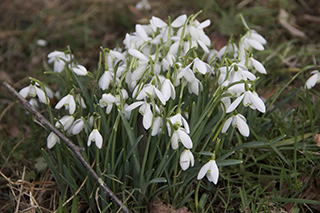 The weather today was kind making strolling in our award winning gardens worthwhile. 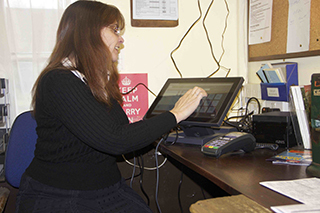 Today also saw the electronic ticket system go live. 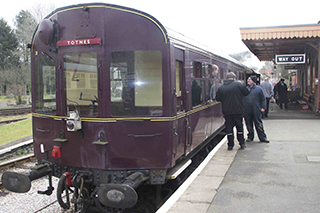 It is linked with the railway’s on–line system, already in use for special trains such as dining and driver experience. 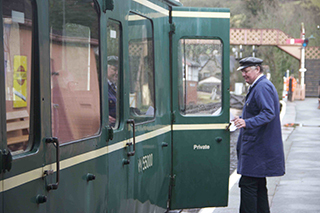 Today at Buckfastleigh Gill Lemar was the first of the regular booking clerks to use the system live, and as can be seen in the photos, it runs in parallel with the old system, so that passengers still get a traditional Edmundson card as their authority to travel. 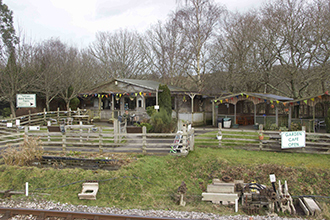 Totnes Rare Breeds Farm is only open for seeing the owls. 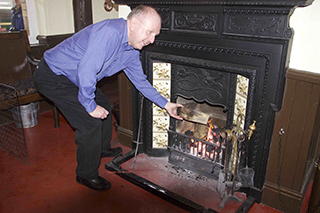 There is no admission charge - just a donation requested. 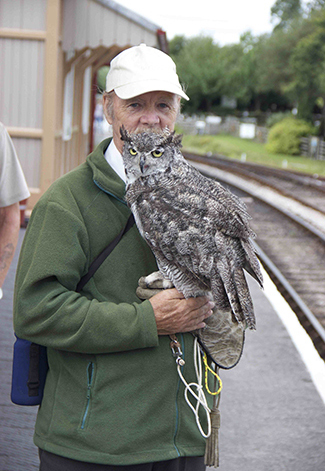 Pete Small is on the platform to meet most trains with one or other of them: today was Martha, a Canadian long-eared owl. 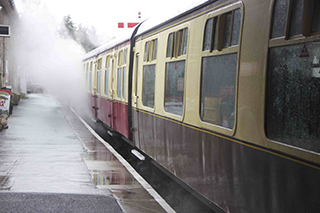 Enjoy coffee and cakes in the excellent Rare Breeds cafe - open when public trains are running. 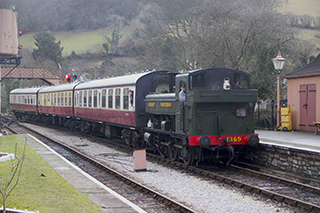 L92 is seen having run round its train at Totnes today. 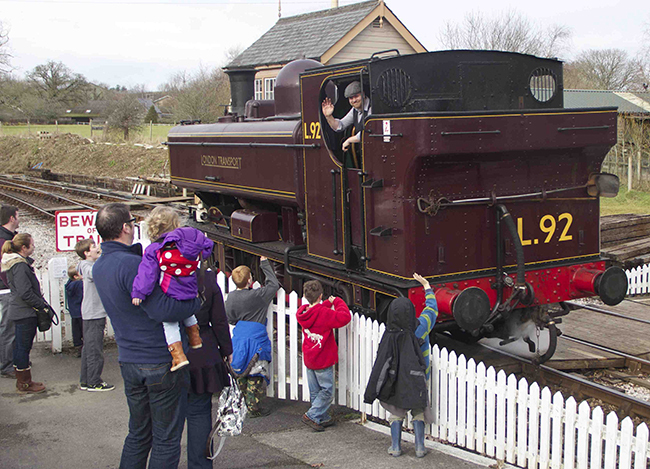 Fireman Rob Oaten waves to some young fans. 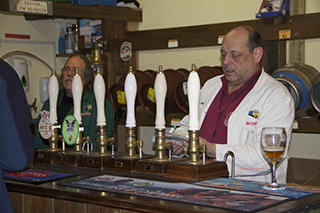 The Editor of Bulliver went to the Real Ale Festival at Staverton this evening, and very nice it was too. 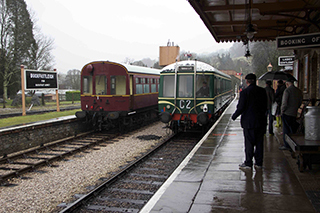 A few pix to show the atmosphere – what a treat to travel by an auto train consisting of W225 and 6412, both fresh out of the shops. 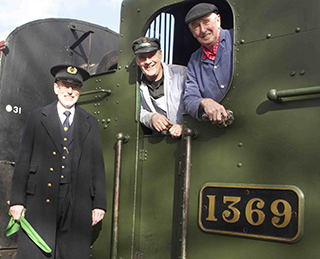 The Festival runs tomorrow (Sunday), but that’s your last chance until the next one at the end of May. 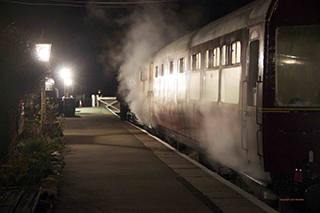 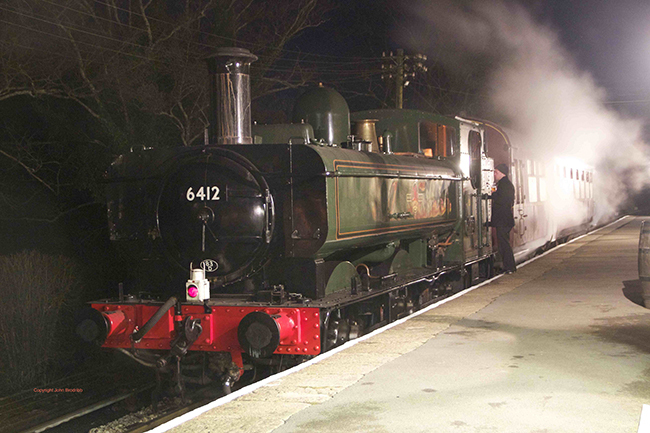 Do brave the weather forecast tomorrow and catch the last day of the SDR’s hugely-successful winter steam gala. 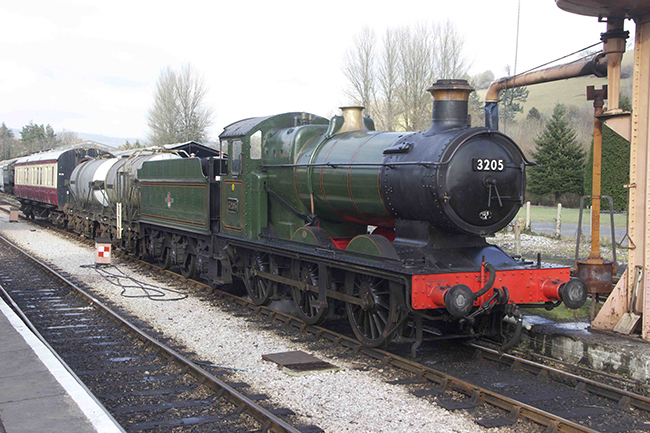 GWR 0-6-0PT 6412 sits at Staverton. 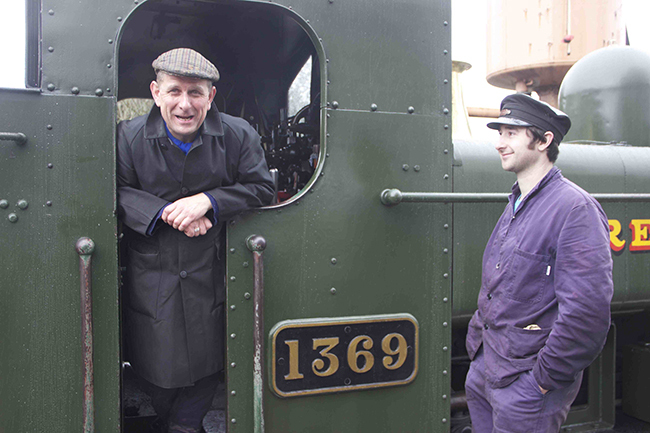 4566 was working today: on this particular working a Fruit D van had been coupled between the loco and its train. 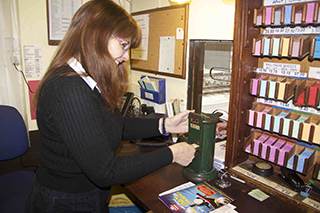 There was a roaring fire in the booking office to welcome passengers. 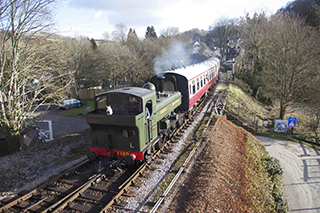 6412 and one auto (W225) worked several services, but the last train, 4.30pm from Buckfastleigh and return, fell to the bubblecar, W55000. 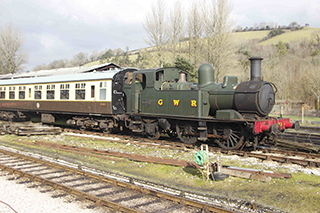 The week was a great success overall; the SDRT Museum at Buckfastleigh recorded a 20% increase in visitors compared with 2014, and the railway overall showed a gain of 15–20%, according to the SDR Railway Manager, Chris Williams. 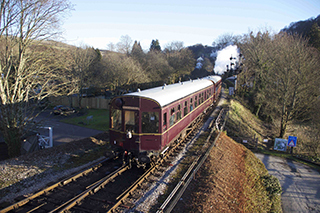 If you want to visit us again the SDR is open weekends with a green service; there will be fires in the grates at the stations, and auto trains will run in beautiful spring sunshine; it is a fine time to see the line. 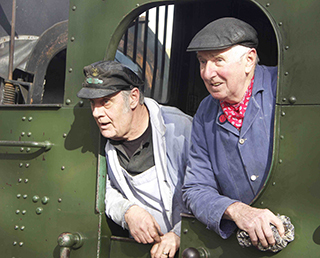 Driver Allan Cash explains to Chris Williams how these “foreign” engines work.